Robert Bruce: It’s time to pull back the curtain for just a few minutes and talk about what we’ve learned so far from producing New Rainmaker. This is New Rainmaker, from rainmakerplatform.com. Stay tuned as Brian Clark and I take you behind the scenes of the early days of his particular media brand. Then we’ll talk a bit about where it all might be going. Why Do a “Behind-the-Scenes” Episode? Why are we doing these behind-the-scenes episodes? 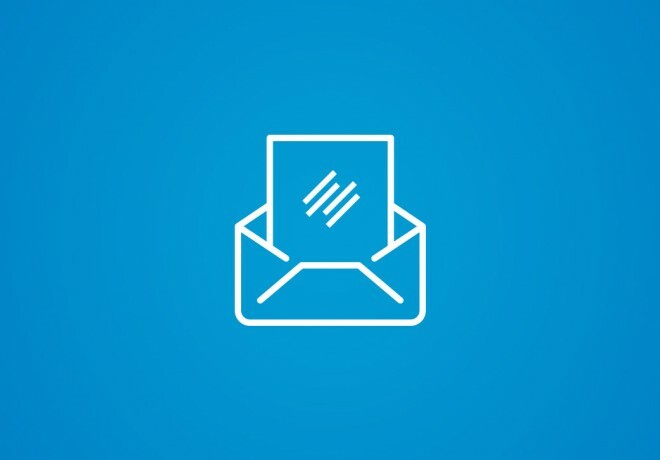 We’re going to take a break here from the three episodes that we’ve already released at rainmakerplatform.com, and now it’s just you and me talking. What’s going on with this? Brian Clark: Well, for those who have been around our sister publication, Copyblogger for awhile, you realize that we had a very kind of meta approach, which I implemented in the early days. The question was “how do you get other marketers to trust you while you’re teaching them something that you’re doing to them?” And the only way to do that is to just be transparent. We’re going to talk about the use of transparency, and why it is so vital in this whole media-as-marketing thing in future episodes. But the thing is, you can’t get away with it like it’s not happening. So instead, the whole idea behind this podcast was to try various things. Some things we knew would work, some things we were trying for the first time. Then we’d figure out what worked, what didn’t, what we’re going to do from here, and tell everyone about it as a way to show that we’re all kind of on this journey together. Robert Bruce: So that begs the question: Just how transparent are we going to be on these behind-the-scenes episodes? Brian Clark: From an educational standpoint, we’re going to talk about what works and why, when producing your own content and media platform. 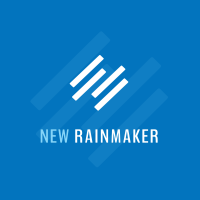 But since New Rainmaker itself is a content platform, it makes sense that perhaps we should share how this particular thing is working in the scope of our particular business. Now of course, that doesn’t always translate one to one for everyone, but in fundamental principles it absolutely does. And that’s the idea. Robert Bruce: Okay. So let’s talk a little bit about the format that we have used over the last three episodes leading to this one. It’s a little bit different in the business category. You and I have talked for quite awhile over what we wanted to do for the New Rainmaker broadcast and how we wanted to approach it. We had all kinds of different ideas, but we had an unexpected turn at the last minute leading into the format that we are using, and will continue to use. Brian Clark: Well, yeah. How long have we been planning this thing? — at least half of last year, but yeah, there was an unexpected turn at the last minute. So the original idea, and again, as we progress through New Rainmaker we’re going to talk about how audio is the foundation for spinning out content in all formats or modalities in learning psychology parlance. 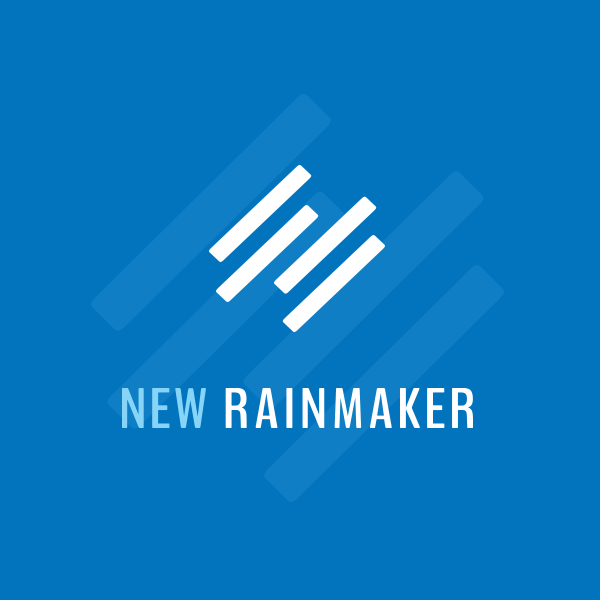 So effectively, you can use audio to create text, articles, e-books, slide shows and video, in addition to the podcasting channel, which is why New Rainmaker is in iTunes. Even though e-mail subscribers to New Rainmaker actually get more stuff, iTunes is a channel. The original idea was a very simple question and answer based on an outline format for audio lessons, which would have covered the same material. And then at the last minute we said, “you know, we’re big fans of NPR and This American Life and all of those broadcasts, and of course we can’t match them.” You know, I mean, that’s public radio. But they have a pretty serious budget. Brian Clark: And Robert’s better at the voice stuff than I am, but he’s not a professional producer, right, Robert? I mean, we’ll get into actually how we do this, but there’s no budget here. Robert Bruce: Right. What we are doing anybody can do in terms of the production. You could argue even the content itself. I do want to make one quick point, because we had just come off the heels of Entreproducer, and that was a series of podcasts over several years where we kept the same format. It’s you and I talking. We come up with the outline which is a very, very basic interview kind of format. And this is prevalent across iTunes, and particularly in the business category. And so we started thinking about these shows that we actually liked listening to, and that get through to people. It was the idea of storytelling and moving into certain things like theatre, drama and using the theatre of the mind to try to do something different. And like you said, we wanted to make the same points in a different way within this category. And I think Demian said this is like This American Life meets David Ogilvy. Demian, and he knows it. Robert Bruce: Right. He’s a smart guy. He’s a copywriter. Brian Clark: We don’t pretend like this is anywhere near that level. Robert Bruce: No. That’s exactly right. Brian Clark: There’s no way it could be. But it is two guys with basic stuff trying a different format. I told Robert before we launched, “don’t get upset if people hate it,” because that was a distinct possibility. Because no one’s really doing anything in this format. The feedback we’ve gotten has been overwhelming that people do like some production, that they do like the format. Some people found the music fantastic, one guy said it was creepy, but that’s okay. Robert Bruce: (Laughs) I didn’t hear that one. It’s an investment, but it’s not a huge amount of money to where I would get a little bit better at this. And interestingly, it’ll sound more like I’m just talking to you, which is the goal, right? As opposed to some produced thing. So that’s just a personal ambition of mine, because this is a geeky kind of thing that I enjoy doing. But those comments were taken in good humor in that, and thank you. The fact that someone actually does just want to listen to us talk is actually quite complimentary. Robert Bruce: Yeah. And there’s a lot of power in that format obviously. Some of the biggest shows on independent media online now are driven by that format. It’s not that everybody has to do it this way, or some different way. But I had an idea of trying to outdo what we had done before, right? So to have some kind of production value and it’s not easy to do. But along with you deciding to take voice lessons is that that’s a part of the whole game. It’s like upping your game, and wanting to play in a bigger arena. Robert Bruce: Again, you don’t have to do it. I mean, you can get by with lo-fi, unproduced stuff and make a huge splash. end product. It’s the beginning. Brian Clark: We’re going to devote … audio episodes, I think it’s worthy of a webinar. So that may be the first upcoming webinar that we do where we just lay out the content production strategy. To show where you do it once and it becomes multiple pieces of content for your own platform. And then using it as a guest blogging or guest writing opportunity, things like that. In fact, you know, I just had an article today come out in Say Daily where I’m doing a monthly column, and while the article itself is unique in headline and opening and close, you’ll recognize the ideas and the examples in the middle. Right? 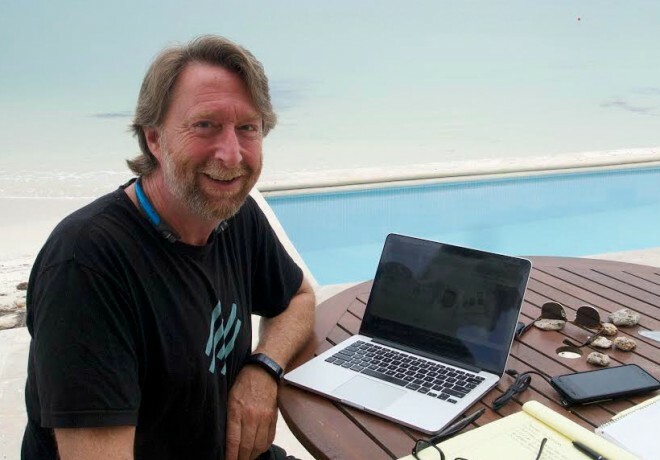 Robert Bruce: Yeah, I’ve got to say, man, overall I was a bit shocked at how serious you were with the ideas of repurposing and using the same content or versions of it in multiple modalities as we talked about. So that’s another thing with this particular format with the way we’re doing this podcast. The first three episodes, this one not included. You’re actually writing out your parts, and then I write intros to that. The major meat of the content that is being produced is being written and polished beforehand, so you’re getting that out of the way early. And then the possibilities for how that shows up as this is the point you’re making, the possibilities for how that spreads out into the world is endless. Because you’re starting with this polished thing. Brian Clark: Well, that’s because you and I are both writers who happen to be audio geeks at the same time. I think everyone has to play to their strengths. We all came out of the blogging world where people wanted to write, and now we’re in a mainstream content marketing world where not everyone can write, wants to write or should write. Robert Bruce: That’s a good point. Brian Clark: But they need to create their personal media brand, and anyone with a good outline and some valuable information to sell, information to share I should say — was that Freudian? Robert Bruce: … eventually sell. Brian Clark: … can record audio, and from that, most business people — most rainmakers will be producers. This is the topic of the next episode that you’ll hear from us. The production mindset means “no, I don’t do it myself necessarily,” I benefit from media production. And that’s a big part of it. Brian Clark: We don’t spend any money. We don’t have any budget. There’s no New Rainmaker line item, which is interesting given how important, ultimately, this will evolve into being. When I say this is a demonstration, you’re going to watch this site evolve and become more sophisticated and have more functionality which, to tease a little, we will talk about this in a bit, is just a matter of pushing a button and turning something on. That is the whole platform thing. We’ll talk about that in a second. But let’s talk about what we’re doing here to produce content, Robert. I mean, to answer your question, there’s no budget. I bought a new mic because my old one died. It was about $150. Brian Clark: It sounds great. Brian Clark: No money from recommending the Blue Yeti mic, but we love it. Robert Bruce: Right. No relationship there. We’ve used them for a long time. There are a lot of great mics out there. You don’t have to spend that much, this is actually on the expensive end. Brian Clark: You don’t have to get the whole pro version. Robert Bruce: Which will go to prove a further point later, about how inexperienced I am with the editing. You don’t need to unless you’re into that. If you’re an audio person and you’re good at production-type stuff, do it. It’s fine. Have fun, have at it. But you don’t need it. Brian Clark: These are the pro version. Robert Bruce: Yeah. I don’t think there’s anything in the specs other than the ability to plugin XLR and run it through an amp. Which is a nice thing if you do live stuff, which is down the road. We’re going to talk about as well. That’s on the high end, really. I mean, you can get a great mike for, you know, $100 if you really look around. That’s the money you spend. Plug that thing into your computer. editing, though? I know the answer because that’s what I record my parts into. Garageband, which comes with any Mac. Robert Bruce: It comes with the Mac, with the latest release of the Mavericks operating system they’ve made Garageband free. It is robust — it gets a lot of crap from real audio people, and I get it. If you’re a pro in this stuff you’ve got a lot to say, but it is incredibly powerful. Brian Clark: And the Night Vale people are getting HBO deals, right? going to write a book. Brian Clark: I think we’re going to have to use them as a media example. I mean, they’re not doing content marketing per se, but they are landing deals with mainstream media. So if that’s your goal, this is all completely applicable to that as well. Robert Bruce: And doable with largely free tools. So what happens in our case is, Brian will write the first run. You know, he’s driving the content as a whole here. He’ll send that to me … or we just had this conversation. You use Word, I use Pages. We have all these issues. I don’t know why you don’t use Pages. But anyway. Brian Clark: I — because — yeah. All right. Brian Clark: No, he spins it as a tribute to the dead Mr. Jobs. That’s how grasping he is for a reason why he uses Pages. Robert Bruce: My anger knows no bounds. Brian Clark: Don’t Hulk out on me. Robert Bruce: Brian will send me the bulk of the content for the episode coming, and this is just how we’ve kind of come together on this new format. Then I will write introductory stuff for each section that he has written. We’ll go back and forth, you know. Final approvals and all of that kind of thing. Then we’ll clean that up, and once you have that in — and again, in the sense of how we’re doing it — he’ll record his parts in GarageBand with the mike. I’ll record mine. After that it’s an editing process. I am not an editor. I am not a professional audio person. It does take some time. I think that’s the big secret with audio and podcasting in general, is it takes a lot more time than anybody wants to admit. Brian Clark: Oh but see, a lot of people with the more natural approach don’t edit at all. When we first did our first podcast I think it was very natural. And then we just wanted to get a little better. And Robert — you know, this is over the course of, what, four years — Robert decided he wanted to play with GarageBand and editing stuff, and in those four years the tools are more powerful and easier to use. Robert Bruce: This one that we’re doing. Brian Clark: … follows the same structure as the document I sent him now, except now in this case, I decided to write it like an article. Robert Bruce: You’re right. And that’s a great point, is that there are a lot of really big media broadcasts. I honestly don’t like the word podcast. But whatever. Really, it’s a couple of people talking, and some people aren’t even cutting out the “ums” and “ahs”. There’s no production value whatsoever, and they’re just cranking that thing out. You can get away with it if the content is good enough. Again, we’re trying to up the game just a little bit, at least in my mind, in terms of the format. And in terms of the entertainment value as well, along with the educational content. So putting a better wrapper on it, maybe, is one of the easiest ways to think about it. So there’s a process there of editing. I’ll just say this. I am not an audio professional. You know, really, it’s one of those things. If I can do it, anybody can learn this. In fact, I kind of complain to Brian on a weekly basis. It’s like, “man, I just need to go take a class or something. It’d be cool to really, really learn this stuff.” But the point is, it’s not necessary at all. And you’ll see that. As much as the thing that I want this to be, you’ll hear inconsistencies, and you’ll hear — like this last episode, episode three of New Rainmaker. My voice was a little — my recording was a little fuzzy — and I could not figure out how to make it, but it worked. So we shipped it. We got it out. If you really want to get crazy with learning that stuff, it’s the future. Go for it. You’re going to have all kinds of opportunities to make use of those skills for your own company, for your own media brand. You can go this way, or go that. I think either way it’s going to work out. So then that is exported. Brian, how detailed do you want to get into this stuff? Brian Clark: And there’s lots of that out there. I mean, a quick Google search will tell you everything and more that you want to know about GarageBand. And other than picking up a good USB mike and having good content, that’s it. That’s all there is. I have to acknowledge that getting awareness out for your content and all that is a different matter, but that’s what we’re going to specifically cover as we go forward. So don’t worry about that. That’s part — actually, that’s the whole deal. coming for New Rainmaker content. Brian Clark: Yeah. Well, I don’t even know if the first episode was out before people noticed the little link in the footer that says “Powered by the Rainmaker Platform.” They went to the page, and there’s a little bit there, but it’s really just an opportunity to sign up for beta testing of our new all-in-one, turn-key platform that Rainmaker, in addition to delivering education, is a demonstration of. When I mentioned earlier that as we progress you’ll notice right now that the site is a very, very simple site. There’s a home page, an about page, and a contact form with one page called “platform” behind the scenes that people have found. That is about as bare bones as you can get. And then of course, you have the post where the podcasts themselves are published. As we progress though, the site will change. The home page will change. The structure will get much more sophisticated. You’ll go from a very simple WordPress site to an — in the old days, what would have cost about 30 grand to build, right? In essence as we develop content, our ability to use more of the advanced functionality of this platform that we’re releasing will reveal itself. Instead of me saying “here’s this feature, and this feature, and this feature, and here’s the benefit of that,” you’ll go, “Oh! Here’s a way to use that,” because they’re doing it. So when we loop around to this being a demonstration, it is. And again, if you don’t come by the site and notice, don’t worry. It’s not that big a deal. Because every three episodes or so we’ll do a behind-the-scenes, and we’ll tell you. We’ll tell you what to go look at. We’ll tell you what changed, and we’ll tell you why. And we’ll tell you how it fits into a very real marketing campaign for a very real platform. It’s very meta. I know. But that’s how we do things, and I’ve had so many people over the years say, “thank you,” you know? “Thanks for saying that in a different way,” number one, which is helpful because the whole media-not-marketing thing. So many people said, “I get it! I get it! I’m off! I’m going to do it!” That’s music to my ears. You know? Brian Clark: Yeah. So there’s that, but so many people have learned from observing what we do when we don’t say explicitly what we’re doing. And I’ve gotten a lot of nice notes from people over the years about that. A lot of those people are very wealthy and laughing at me because I’m still here doing this podcast. But … (laughs) but that’s cool. If I can convince anyone to do business with me because I demonstrate that the platform we’ve used to earn over seven million dollars last year, before we even released it, is exactly this tool, then I think that has some credibility. I mean, that’s my hope. Robert Bruce: Thanks for listening to New Rainmaker. If you like what you’re hearing, please let us know by heading over to iTunes, and giving us a rating or a comment there. 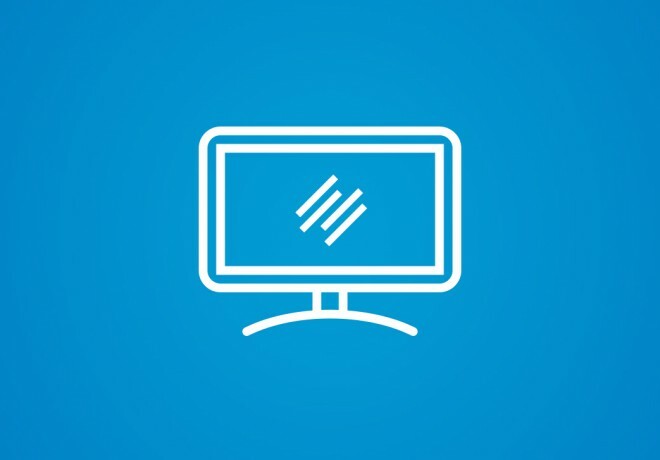 And if you found this broadcast somewhere out there on the internet, go ahead and sign up to get free e-mail updates for future episodes, transcripts, videos, and upcoming live shows at rainmakerplatform.com.